Mentoring is generally an informal relationship in which the mentor guides the Mentee to improve his professional as well as personal outcomes. Mostly the Mentor is more senior and not the line manager of the person being mentored. A Mentor helps on the Mentees individual reflection. Mentoring can develop naturally, when the Mentee discovers his desire to learn from the mentor. And the word Mentor might never be mentioned or even thought of. Or the Mentee might look actively inside or outside their organization to find someone who he regards as an expert in their field. If he feels like this person could support him and the mentee admires and respect the mostly more senior person, they can start with a first clarification about the Mentees aspirations. 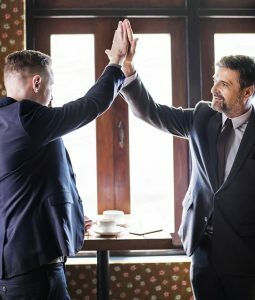 Following the mentor can do many of the same things as a coach or even a trainer, but without any formal obligation on the part of either party. Often the process is very long and not seldom it turns into a friendship of peers. Some organizations have realized the power of Mentoring and have even set up special programs.